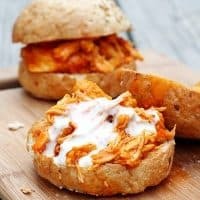 SHREDDED BUFFALO CHICKEN SANDWICHES (SLOW COOKER) — Slow cooked, shredded chicken in a spicy Buffalo sauce, served on sandwich buns with Ranch dressing. Friends, these Shredded Buffalo Chicken Sandwiches are easily the most well received meal I’ve served up in recent memory. Of course, I do have some serious Buffalo chicken fanatics at my house, but they weren’t the only ones who loved these tasty, slow cooker sandwiches. My husband and kids all like spicy food, but still, they couldn’t stop raving about these sandwiches. And now that football season is upon us, I have to say, these would be perfect game day eats. , and later, the broiler, I barely had to lift a finger to get this meal on the table. Somehow, that made these sandwiches taste even better! Everyone cleaned their plates and went back for seconds. This meal was an especially big hit with my hungry teenagers. You can top these sandwiches with either blue cheese or Ranch dressing. I usually serve both on the side, since we do have some opinions around here about which goes better with Buffalo sauce. And of course, carrot and celery sticks are always good to serve alongside any kind of Buffalo chicken inspired meal. Granted, we have some opinions around here about carrots and celery too. But one thing we all agreed on–these Buffalo chicken sandwiches were awesome! 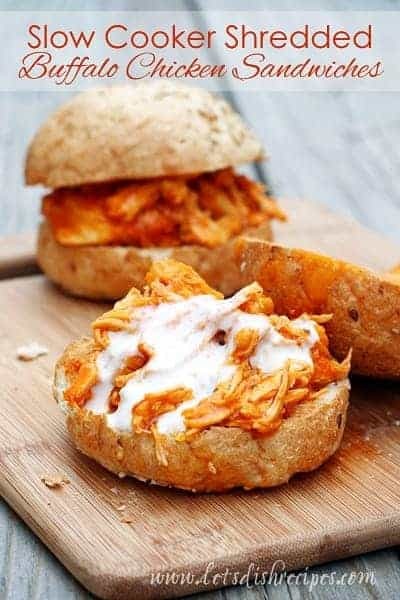 Be sure to save this recipe for Shredded Buffalo Chicken Sandwiches to your favorite Pinterest board for later. Slow cooked, shredded chicken in a spicy Buffalo sauce, served on sandwich buns with Ranch dressing. Place chicken breasts in lightly greased slow cooker. In medium bowl, combine the buffalo wing sauce and ranch seasoning. Pour hot sauce mixture over chicken in slow cooker. Cook on low for 6-8 hours. Shred chicken breasts in the slow cooker. Stir in butter until melted. Preheat broiler. Place slices of cheese on bun tops and melt under broiler for 1-2 minutes. Pile buffalo chicken onto buns. Top with Ranch or blue cheese dressing. Chicken, potatoes and cheese in a spicy, hot sauce infused broth. 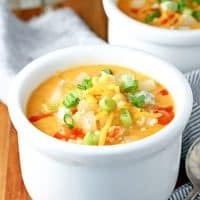 The perfect soup for Buffalo chicken lovers! 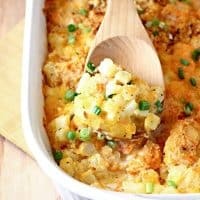 Cheesy diced potatoes combine with hot and spicy chicken in this heartwarming casserole. 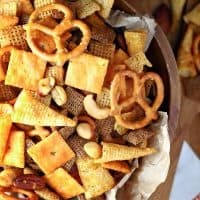 Traditional Chex Party Mix gets a spicy twist with the addition of Buffalo sauce and ranch seasoning. Perfect for game day snacking! 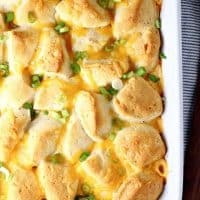 Shredded chicken is mixed with cream cheese and buffalo sauce, then topped off with refrigerated biscuit dough in this spicy comfort food casserole the whole family will love! 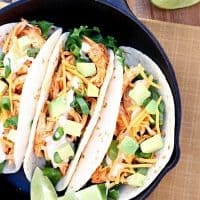 These quick and easy Buffalo chicken tacos are ready in about 15 minutes! Which makes them the perfect week night meal. Who Dished It Up First: Adapted from Greens and Chocolate. YUM! I’ve seen this recipe, but I have yet to try it. I need to make this ASAP! Your sandwiches look delicious!!! This looks so good! I might have to cut back on the sauce because i’m a baby when it comes to spice, but top it with ranch and i’m a happy camper! YUM, I love this! I will be making it this weekend for the Packer game! Pinning to my Game Day Party Main Dish Board! Hi Danelle, I just came from Daily Blog Boost. This recipe looks delicious and EASY! I’m sharing it on G+ and pinning it. I’m also a new follower on FB. Can this be done on high for 4 hours? I was wondering the same thing…did you try that? I probably emailed my response but I’ll share it here too. I haven’t tried it, but I think it would work fine. Yes cooked on high for exactly 4 hours – we made these for the office – We got 14 sandwiches using regular size hamburger buns! 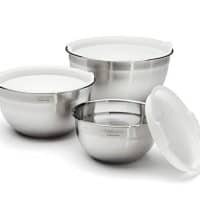 Could you put frozen chicken in? I made these today with frozen chicken and they turned out fantastic! These are so easy, and really good. Definitely have a kick to them. The men folk love it. I made ahead and took to the beach a couple of weeks ago. I’m making again for Labor Day/game day. I suggest using a pork loin or roast instead of chicken. Gives it a better flavor. If you only do 3 chicken breasts would you cut the time and recipe in half? Yes, that’s what I would do, and cook for about 4 hours on low. Which buffalo sauce did you use? I have tried several and some are too spicy for my crew. 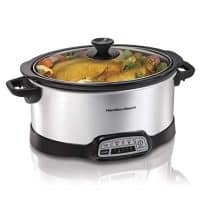 What is an alternative for slow cooker? I don’t have one and I really want to try this recipe..
Make the sauce in a pan on the stove top. Cooked until thickened. Grill the chicken, then shred it an add to the sauce. You could also fry the chicken. This is a great recipe BUT using regular hamburger buns you will get 14 sandwiches from the 6 chicken breasts. We made these for the office and used Frank’s Wing Sauce & package of Hidden Valley Dry Ranch Dressing. We eliminated adding the butter. We also cooked the 6 breasts on high for 4 hours. Add a tablespoon of garlic and some minced onion… YUMMO. Gives it so much extra flavor even though it’s SOOOO good already!!!! I buy from Sam’s Club. the chicken breasts are big. About how many ounces of chicken are in this recipe? I honestly couldn’t tell you how many ounces. I think you would still be fine using 6 big chicken breasts, but if they are really large, I would just cut it down to 5. Made these as sliders for a football themed family dinner while we watched the game and my family LOVED them! 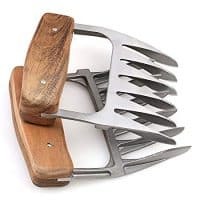 I’m making them again for dinner tonight. Thanks so much for this recipe! Thank you! I love the sliders idea. Definitely going to try that! These are one of our favorites. 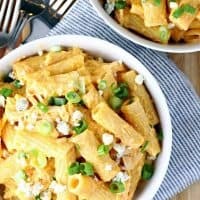 I pinned this recipe a few months ago, and we have had it almost once a week, ever since. Sooooo easy, and DELICIOUS!!!!!! 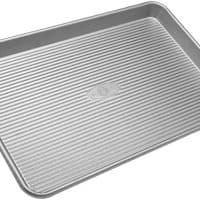 If making ahead of time, would you add the butter before you refrigerate or once you heat it back up? I think you could do it either way and it probably wouldn’t make a difference.